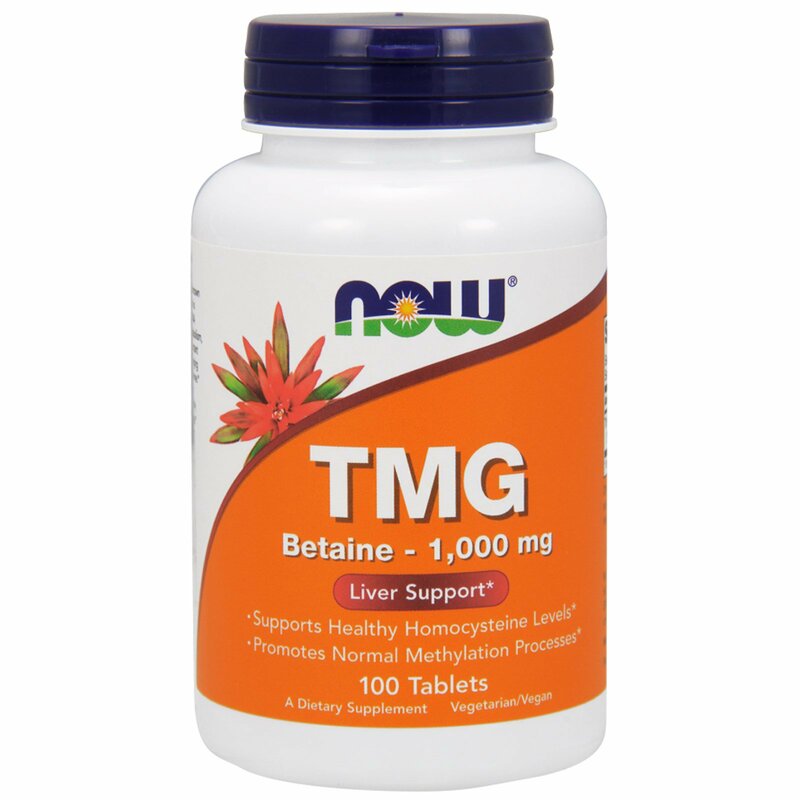 Betaine Anhydrous, or TMG (Trimethyglycine) is known to facilitate methylation processes. Methylation is a normal biological process that is critical for DNA repair, liver detoxification mechanisms, lipid metabolism, and the production of SAMe. It is also an important step in the conversion of homocysteine, a damaging amino acids, into a friendlier amino acid, methionine. 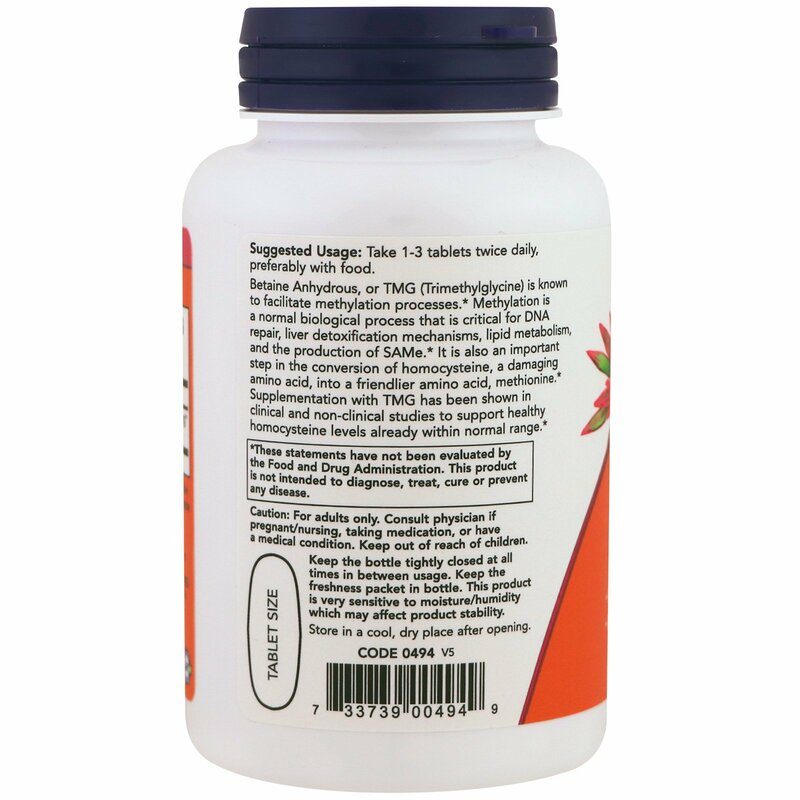 Supplementation with TMG has been shown in clinical and non-clinical studies to support healthy homocysteine levels already within normal range. 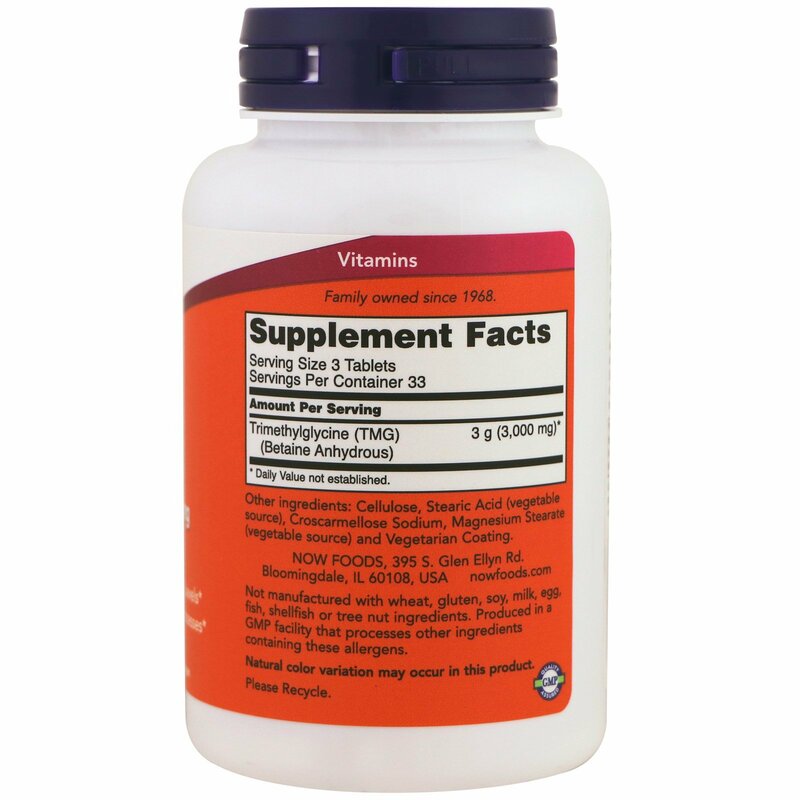 Take 1-3 tablets twice daily, preferably with food. Cellulose, stearic acid (vegetable source), croscarmellose sodium, magnesium stearate (vegetable source) and vegetarian coating. Keep the bottle tightly closed at all times in between usage. Keep the freshness packet in bottle. This product is very sensitive to moisture/humidity which may affect product stability.